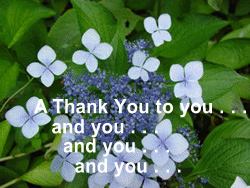 Here is a way to express gratitude for all the people who make your life comfortable. While I am spending more time working on my videos, I still want to have something interesting for you to read two or three times a week in the blog. So I have been thinking of topics that won’t take terribly long to write. Therefore, as I sat down to breakfast this morning, I decided a quick topic could be sharing of my morning gratitude, which I have done in the past. For example, last Thanksgiving in Giving Thanks to People I Don’t Know I wrote about how I am particularly grateful to people I don’t know personally, but who nevertheless help make my life enjoyable and allow me to do what I need to do. Then, as I was giving my thanks, I had to laugh out loud. You’ll see what I mean. I give thanks for the people who package the dried strawberries I like with my cereal — and to the people who give them support. I give thanks for Thomas Garrison who hosts my websites and for helping me solve numerous problems — and to the people who give him support. I give thanks for the person who wrote the instruction book about ACT [a database for keeping track of contacts] that I am learning — and the people who give her support. I give thanks for the people who made the swing on my deck so I could sit out there and read the paper — and to the people who give them support. I give thanks to the people who make brochures for the places we will visit this summer — and to the people who give them support. * That’s what made me laugh. I’m the one who gives him support —- and he supports me. It’s a nice arrangement after 51 years. When you thank someone or give a prayer of thanks, do you also thank those who support those on whom you rely? I find it’s a great way to realize that I am connected to people all over the world.